Once again I hit the local Williams Sonoma up for dinner ideas. 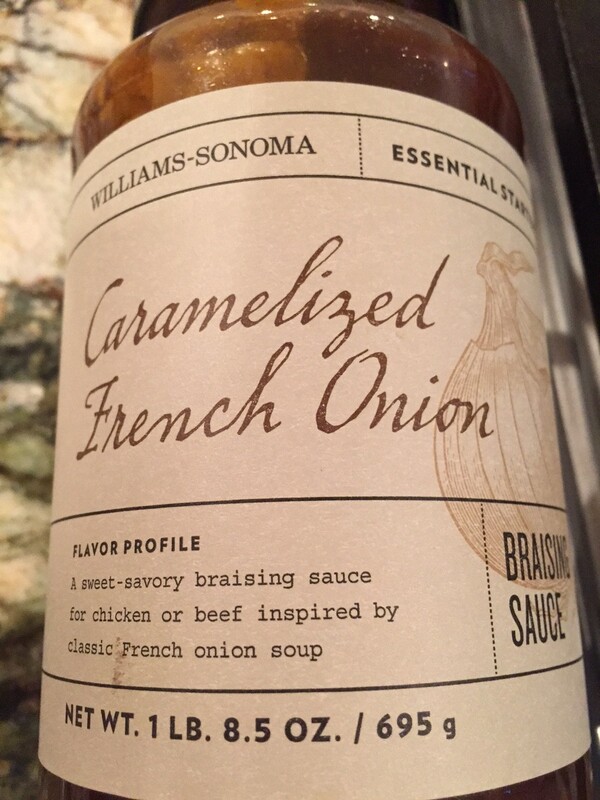 On the lookout for a new starter/braising sauce, the Carmelized French Onion Braising Sauce reminded me of the same flavors found in a French Onion Soup, sans cheese and toast. 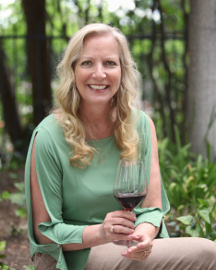 I made it with cubed stew beef and served over plain egg noodles, with a side of artichokes and a Treana Cab Syrah blend from Paso Robles. All very good, will definitely make again. 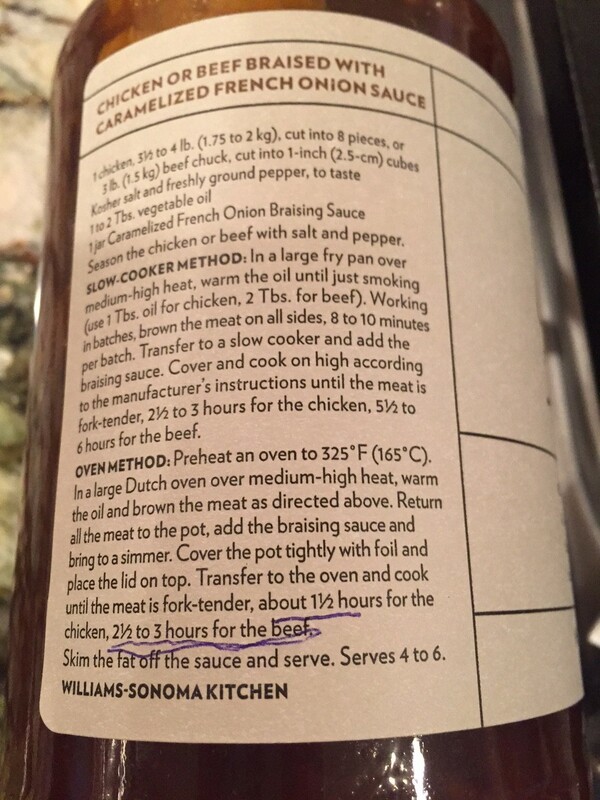 Of the two methods described on the bottle below, I’ve had the most luck with my cast iron pot in the oven, the meat always falls apart just the way we like it.